This kit allows you to use your balance for density determination, and can be retrofitted to your product. 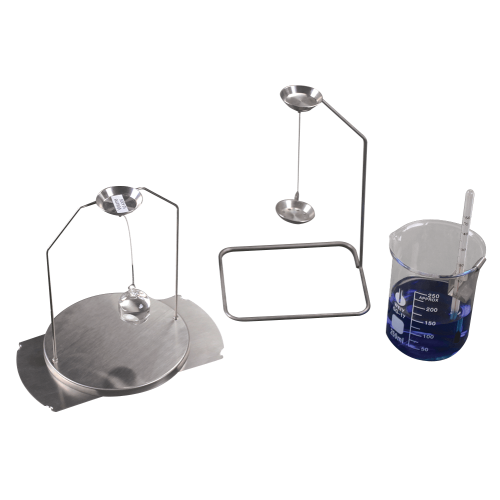 It includes a thermometer, a holder to measure the temperature of the liquid being used, a beaker, a beaker holder and a replacement pan assembly to measure the sample in the liquid and in the air. Note: this kit is for balances with the 120mm and 160mm ø pan sizes.